Juice cleanses are an extreme measure of detoxing — most of us prefer, you know, actually chewing and swallowing our meals. But that supremely fresh-faced glow you get from downing gallons of vitamins? Yeah, we still want that. 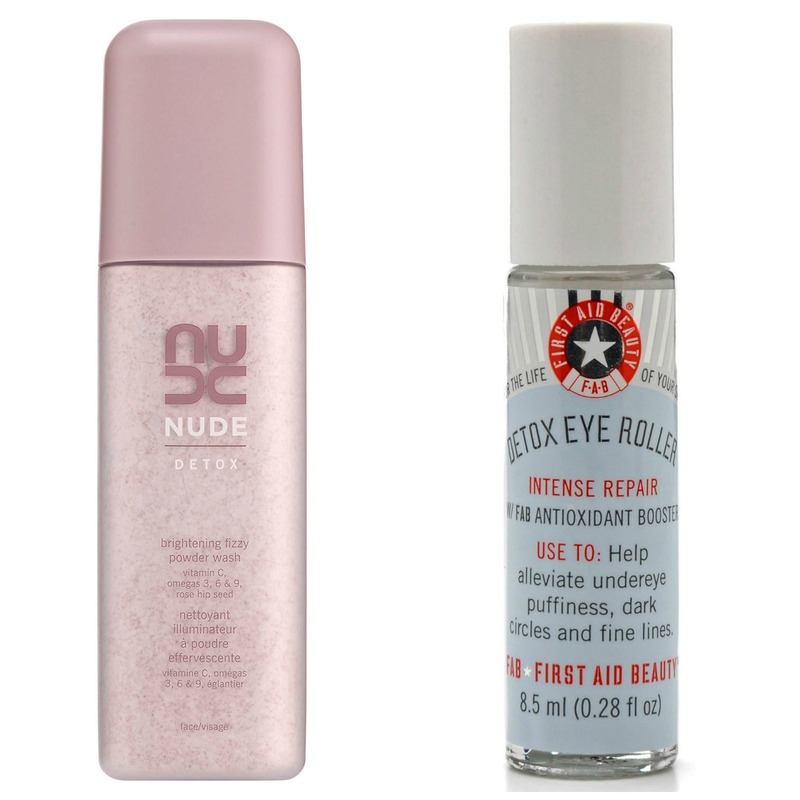 Take the easy road to radiance by detoxing your complexion with these beautifying picks, and still get to eat your lunch. Nothing purifies and detoxifies like a good, deep reaching mask, and REN Invisible Pores Detox Mask really gets all the baddies out (bye, blackheads!) REN’s all-natural, high performance approach translates into this French clay mask spiked with ingredients like soothing lavender and skin-smoothing lactic acid. After the mask dries, remove by gently rubbing it off with your fingertips to reveal a bright, healthy and positively glowing complexion. 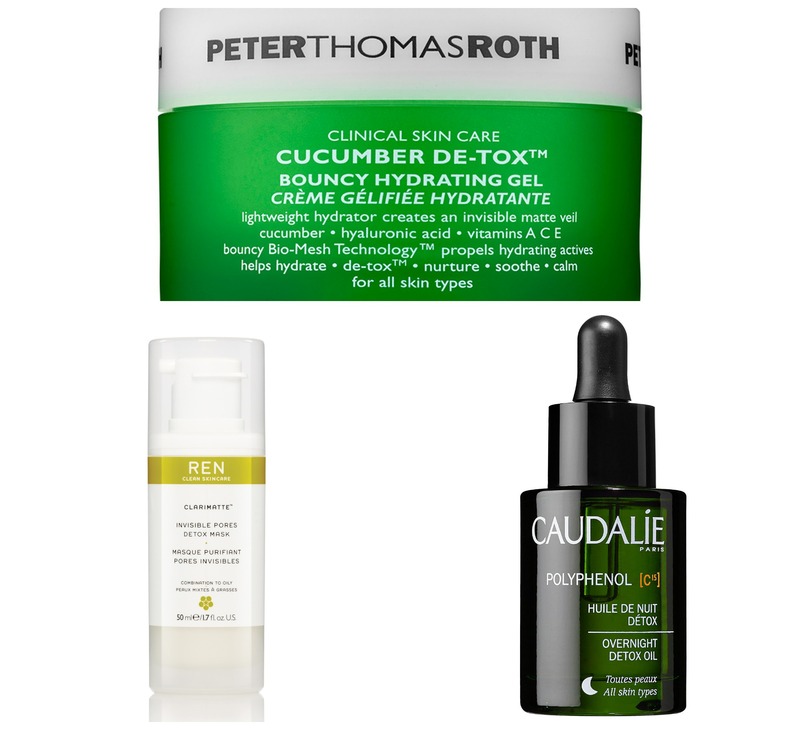 Follow up with a moisturizer that further detoxifies ­— we love Peter Thomas Roth’s Cucumber De-Tox™ Bouncy Hydrating Gel. This innovative and amusingly springy oil-free moisturizer is super lightweight, absorbs lightening quick and miraculously mattifies while providing a mega dose of non-stop moisture. The cucumber extract is the formula’s star ingredient, which rehydrates, detoxifies and soothes, while hyaluronic acid further draws moisture into the skin. For future damage (read: toxic) control, vitamins A, C and E heal and protect. For a potent overnight detox, pat a few drops of Caudalie Polyphenol C15 Overnight Detox Oil into face, throat and décolletage. This 100% plant-based formula improves cell function and skin’s overnight detoxification process with the help of Essential Oils of Carrot, Lavender, and White Sandalwood. With each use, free-radical damage and dead skin cells are eradicated overnight, meaning you’ll rise and literally shine with a supremely smooth, detoxified complexion.